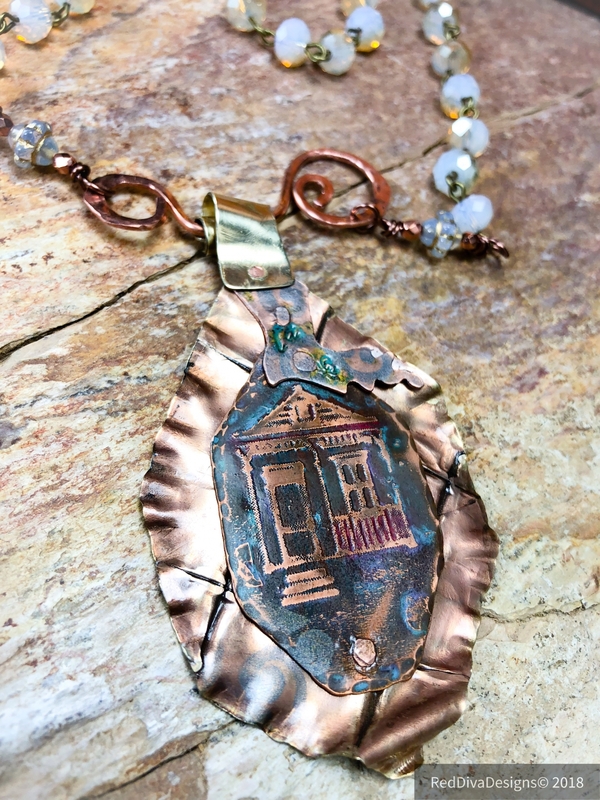 Fold formed etched copper and Brass shotgun NOLa house. 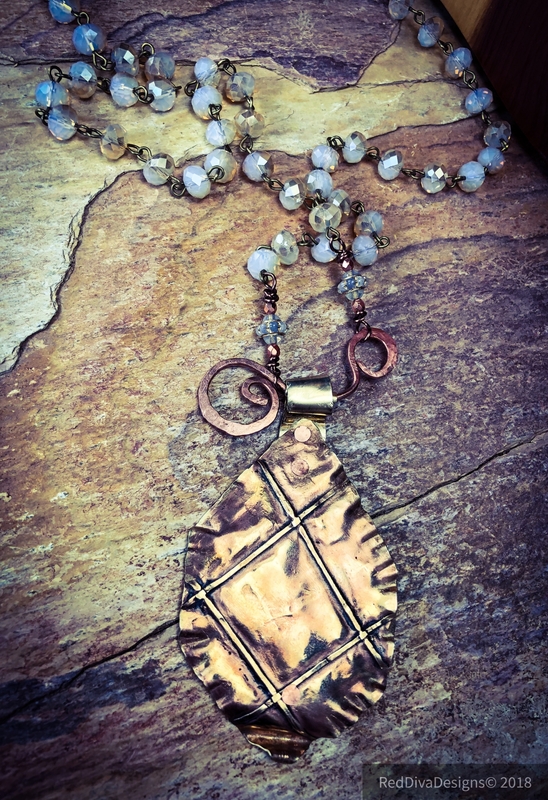 Prisma colored lightly and featured on opal rosary chain. It measures 24” in length, comes gift packaged and ships quickly!